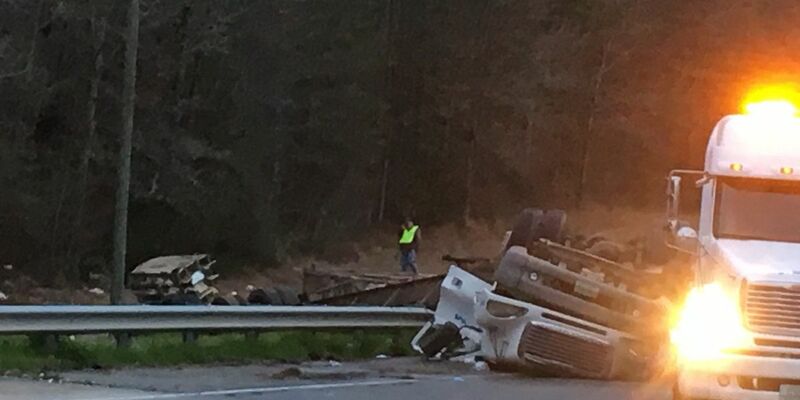 PEARSON, GA - The driver of a chicken truck had to be cut out of his cab, but is alive, after a truck overturned Wednesday morning on Highway 441 in Atkinson County. The crash happened near Pudding Creek Bridge around 6 a.m.
Several chickens escaped following the crash and crews from Pilgrim's Pride are in the process of retrieving them. Traffic is moving at the scene at the crash. Copyright 2017 WALB . All Rights Reserved.